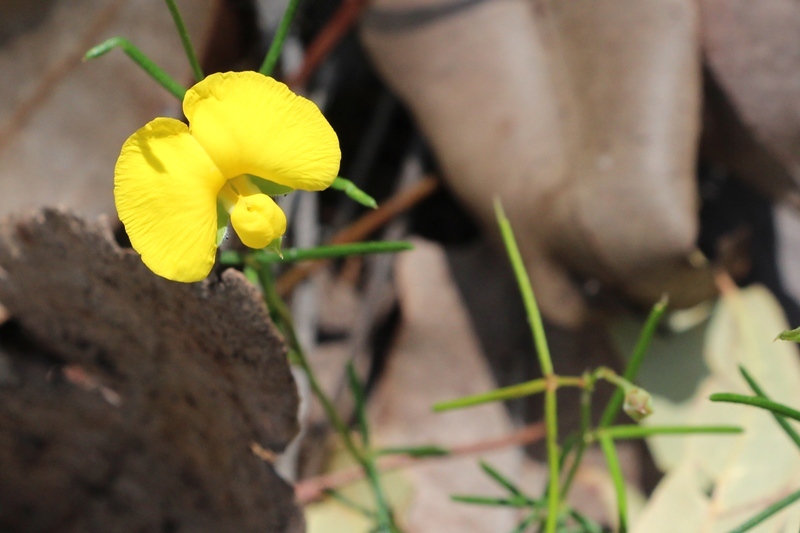 The common name Bright Yellow Pea suits the Gompholobium polymorphum, unlike the pink Handsome Wedge Pea (Gompholobium knightianum). It has much thinner needle like leaves compared to the other and is more of a climber than a shrub. You probably wouldn’t notice it when it is not in flower.